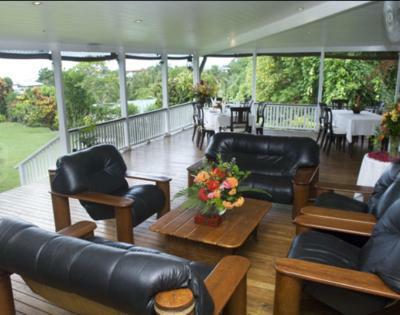 Lock in a great price for Five Princes Hotel – rated 8 by recent guests! We liked the colonial style old buildings, quiet lush garden surroundings, open eating / bar area and separate little cottages. 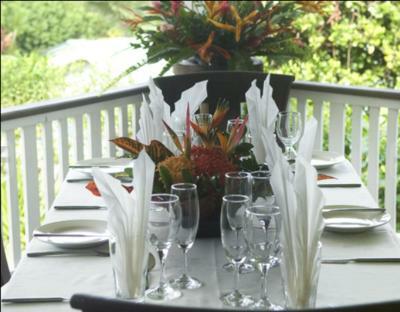 The staff were generally professional, discreet, friendly and helpful. We liked that the huts are roomy enough to have own seating and desk area as well as some cooking facilities - this was a key reason we chose to stay there rather than a hotel in Suva town. 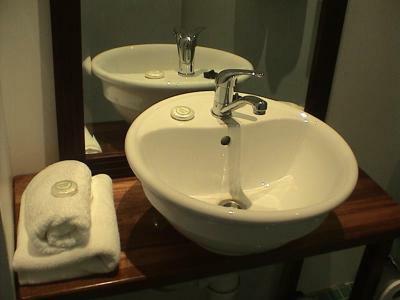 The bathrooms in the huts look newly renovated and are great (tho' could do with a little more surface area for bathroom stuff). Air-con works really well as does the paid wifi. 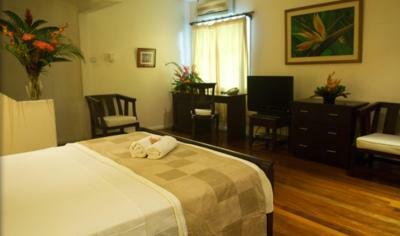 Compared to the downtown hotels, Five Princes hotel has a local Fiji feel which is nice. 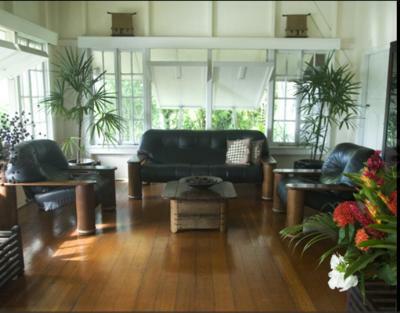 It is also a great location up a little hill away from the hustle and bustle of downtown Suva yet quick to drive there, and only a short walk or drive to one of the best restaurants in Suva - the Eden Bistro and bar. It is also close to supermarkets and local vege sellers. The breakfast was tasty and homely. The friendly kitchen staff even served us a few minutes after the allocated breakfast time. The character of the building and the friendly staff. Staff were friendly & helpful. Grounds were peaceful. Our room was really nice with a little deck area. The hotel was in a really convenient location, close to a bus stop where we were able to get a bus to the rainforest and also easy to get a taxi into town! 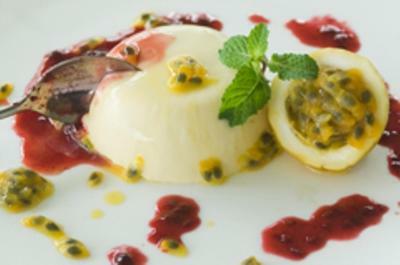 The dinner we had at the hotel was absolutely lovely and reasonably priced too. The staff also always helped us out when we had any questions or suggestions for what to do in the area. Overall, we had a really pleasant stay! 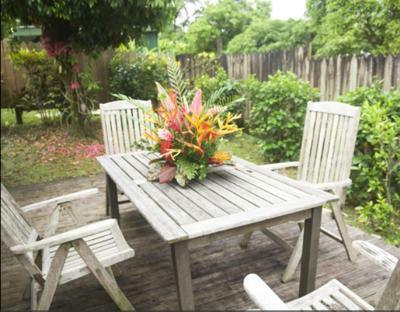 It's nice to stay in a modernised 'old Fiji' residence and the gardens are lovely. It has charm and is quite casual. 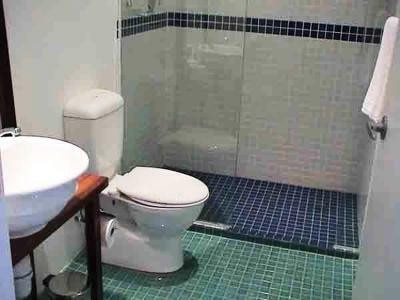 The bathrooms in each room are spacious. 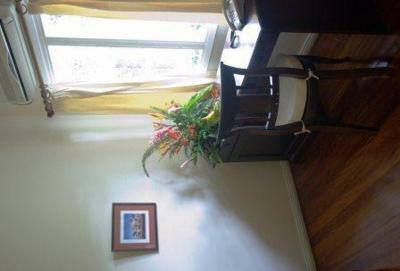 Friendly staff; architectural design & open space and close proximity to my intended travel locations. What a gem of a place! definitely would stay again. Lovely meal, delightful room and gardens. Staff friendly and welcoming. Enjoyed hearing about the history of the building and former residents. We enjoyed the tranquility,quietness,the lovely grounds and gardens. 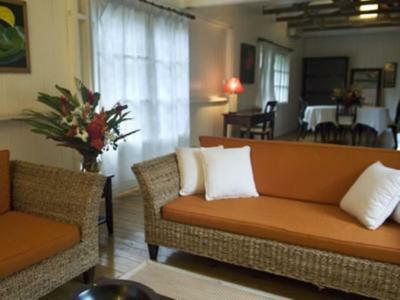 The staff were so friendly and made our stay so comfortable. 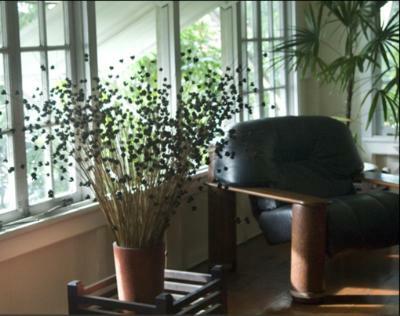 The main house is a beautiful heritage building and the room was great. The evening meal was delicious and well worth it. Five Princes Hotel This rating is a reflection of how the property compares to the industry standard when it comes to price, facilities and services available. It's based on a self-evaluation by the property. Use this rating to help choose your stay! 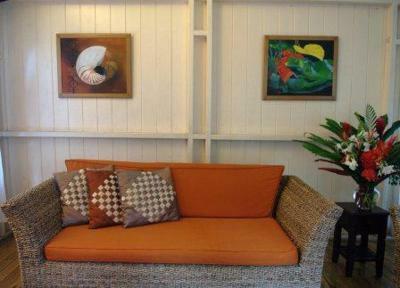 One of our best sellers in Suva! 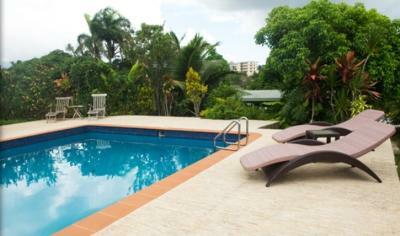 Featuring an outdoor swimming pool with sun terrace, Five Princes Hotel is a boutique retreat set on 1 acre of tropical gardens. 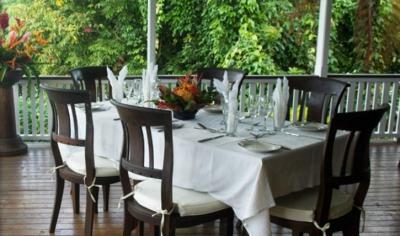 The hotel’s restaurant offers views over Suva Harbor and Beqa Island. 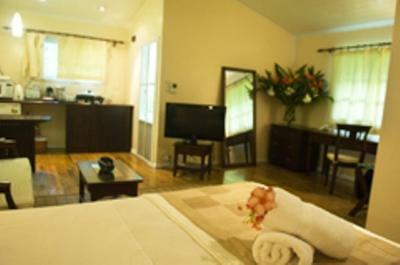 Five Princes Hotel Suva offers a choice of rooms, cottages and villas. 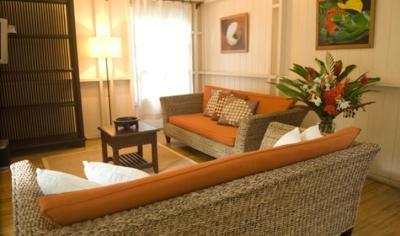 Each includes air conditioning, flat-screen TV, mini refrigerator and a private bathroom. 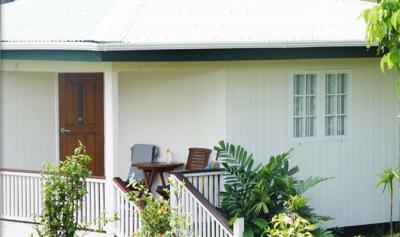 The cottages and villas have cooking facilities. 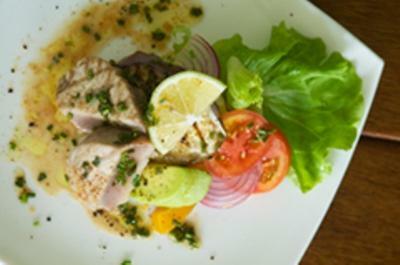 The Veranda Restaurant fuzes Western cuisine with a variety of Fijian flavors. 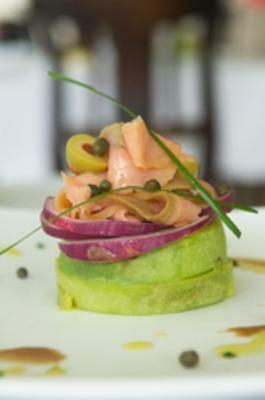 The restaurant serves breakfast, lunch, dinner and beverages. Room service is available. Free luggage storage and free private parking are included. 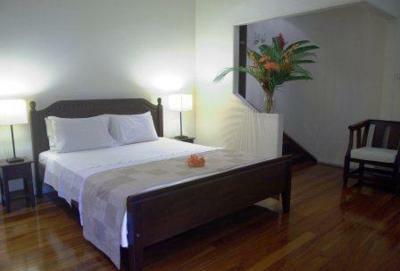 Suva city center is only 1.2 mi away and it is 20-minute drive to Nausori Airport. The Australian High Commission and the Embassy of United States of America are within walking distance. 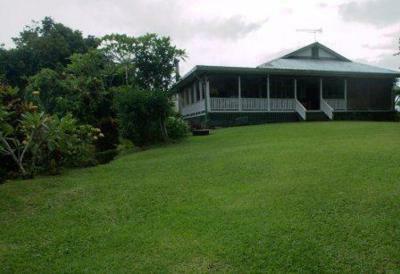 This property is also rated for the best value in Suva! Guests are getting more for their money when compared to other properties in this city. When would you like to stay at Five Princes Hotel? 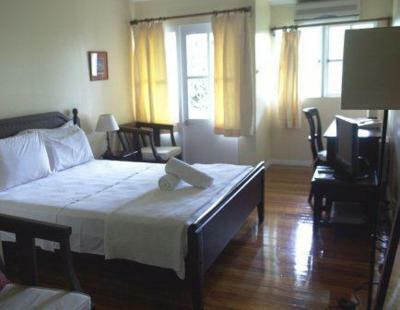 Located in the main building, each room has been renovated to capture the warmth and comfort of this century-old colonial building. 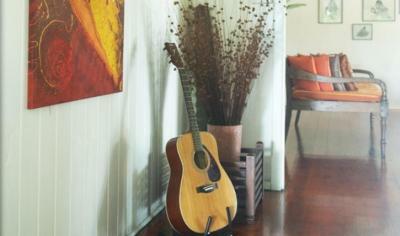 Fitted with polished timber floors, modern furnishings and private bathrooms. Please note that the price is based on 2 guests. Maximum occupancy is 4 (see Hotel Policies). Please note that extra beds are available on request only and will be confirmed upon arrival, subject to availability. You can request extra beds in the Special Request Box at the time of booking. 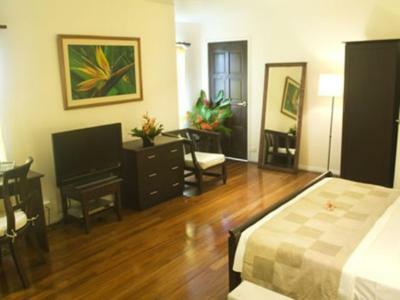 Features traditional colonial architecture, fine local art and modern amenities. Each features a queen-size trundle bed, modern furnishings, separate seating area, kitchenette, private balcony and private bathroom facilities. Features a luxurious bathroom with stylish glass shower, fine art by local artists, fully equipped kitchen, dining area and lounge/entertainment areas. 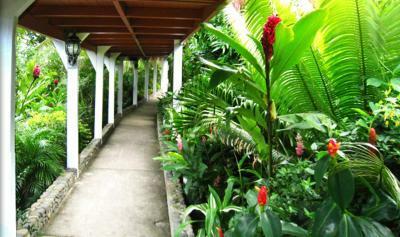 The villa also offers a private terrace surrounded with tropical plants and colorful flowers. House Rules Five Princes Hotel takes special requests – add in the next step! Up to two additional older children or adults are charged FJD 30 per night for extra beds. Five Princes Hotel accepts these cards and reserves the right to temporarily hold an amount prior to arrival. 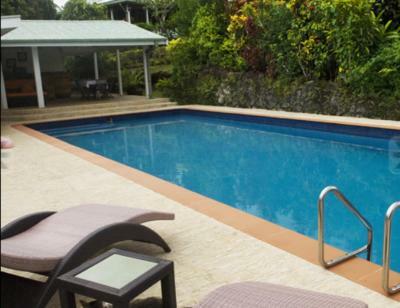 The Five Princes is different from anywhere I've stayed in Suva previously. The buildings are older, yes. However, everything you need is there and it all works. And, you have space. But, best of all the staff are awesome. They were very helpful and really welcoming. The cook is superb - have one of the omelettes for breakfast! 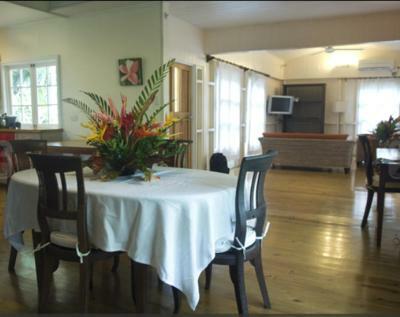 Also unusual for Suva is multi-device unlimited wi-fi access that works and is included in the room price. I will go back! Needs a complete renovation. Toilets continually leaking. Towels old, grey and fraying. Kitchen facilities very minimal. Could have been charming but was not. Basic maintenance was lacking - lights not working, toilet leaking. The breakfast was a little pricy for what it was and considering the price of the hotel, I hadn't realised there was extra costs for the WiFi - but that also may be standard in Fiji anyway! Pity wifi not included, but I guess they cater for many local residents who may have data on their phones and wouldn’t want to pay extra for wifi. The rooms dont have a fridge or much desk space. The noise from the nearby revival church on Sundays can be offputting. The restaurant is a bit odd and could be better value. The girl at the reception was not there when we first attended then we had to leave our room key because she said the cleaners don't have one and when we got back she was not at the desk again and we had to wait. The hotel is a fair way out of town but only $4 for meter taxi. The noise of other guests walking on the wooden floors at all hours was annoying. They should get guests to remove shoes.